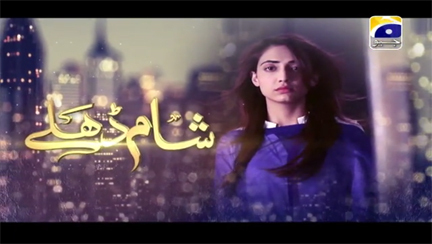 Another striking serial “Shaam Dhalay” that promises to keep its audience hooked every week. Fathers have an incredible influence on nearly every aspect of their daughter’s life. He also sets the standard for how a daughter feels she deserves to be treated by men. He even determines how a girl feels about herself. If a father shows his daughter love, respect, and appreciation for who she is, she will believe that about herself as a woman, no matter what anyone else thinks. But there are number of unlucky daughters who lost this protecting shelter at the certain point of life and they have to survive in male oriented society. Drama serial ‘Shaam Dhalay’ is raising the issue Why in our society earning the bread and maintaining dignity is a difficult ask for girls? Veteran and elegant artist Usmaan Peerzada is appearing in a sweet and lovely father character with name Daud. Geo Entertainment always believes to provide chance for newcomers in showbiz industry especially in the field of acting. You guys will see some fresh faces in daughter’s role. Shah Fahad, Tehfoor Khan Niazi and Marjaan Fatima will be seen in promising characters. Extremely talented actress and popular media figure Nadia Afghan steered the ship of ‘Shaam Dhalay’.